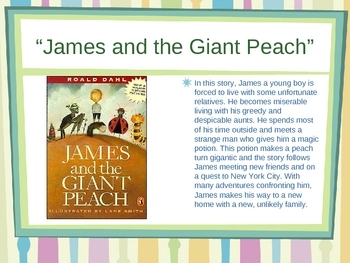 I created this power point to use as a tool during reading instruction. 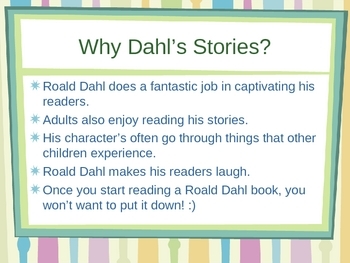 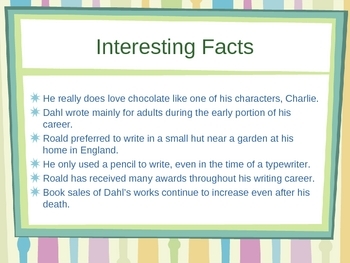 I often use Roald Dahl books in my classroom and this is a great way to introduce Roald Dahl to your students! 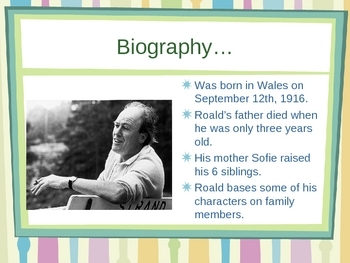 Additional links are included for further information.